Congratulations! You’ve made it to the fourth and final phase of our Downsizing Guide. We designed this step-by-step guide to assist in making the process both manageable and efficient. 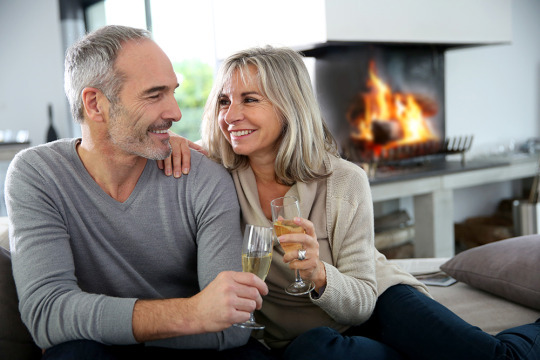 Downsizing requires careful thought and planning, but we promise the renewed joy you will experience in both your home and life will be a welcomed reward after all your hard work. Here’s a quick look back at parts 1 through 3. Please feel free to refer to the links below to refresh your memory, if needed. · Part 1: Focus, Plan & Evaluate. You gained focus by visualizing your end goal, created a plan to determine how to bring your vision to life, and evaluated your existing furnishings and belongings. · Part 2: Tackling What’s Missing. Here you completed Your Styleprint Specifics worksheet to create three different, well-rounded decor plans from which to choose. Then, you selected one of those plans to bring to life. · Part 3: Your Action Plan. In this phase you utilized the Action Plan Worksheet to compile a shopping list, order information, delivery and installation details. Welcome to Part 4 – Make it Real, Celebrate and Review! If you haven’t yet guessed, now it’s “go” time! You’ve completed all the steps to ensure that you are well prepared and organized. Now the day has come to make it real! I’m sure you are excited and possibly, a bit nervous. Rest assured, the following checklist will assist in making it a real breeze! 1. Gather all your worksheets from Parts 1 through 3. • What are their responsibilities? • Are you ready to give them access to your items to be moved? • Do you have a plan ready to show them where in your new home they will be placed? • Having items and boxes set in the right place makes unpacking so much easier! • Replacing floors, appliances, etc. 4. Are you moving some personal items—clothing, etc.? If so, decide when you will do it. 5. What is scheduled for delivery or installation and when? • Don’t forget items like your cable and internet service! • Make sure that someone will be on-site for those items. 6. Be sure to keep things that you will need immediately accessible. You may want to label a box or two with “Open Me First”. You will be glad you did when you are in the kitchen and wanting to make a cup of coffee or find a favorite snack, when you need your toiletries in your bathroom and when you are ready to make your bed for the first night. 7. When unpacking, leave your artwork and accessories last—get the big stuff in and arranged. Unpack what’s most important to function and then tackle the other items a room at a time. 8. Artwork should be the very last item placed. Why? Once everything else is in place it will be easier to see where you want to put it. Once everything is in, placed, opened, and hung, it’s time to celebrate and survey your accomplishment. Even if it is not totally perfect or finished—it’s important to sit back and reflect on all that you have achieved. This may mean sitting down with a cup of coffee or glass of wine with your spouse, friend, or even by yourself. Take a look around - WOW! Next, if you have anything left to do—create a short list—and then you can get it scheduled. Or, maybe nothing needs to be done! In that case - HURRAY! Now’s a good time to simply enjoy yourself and perhaps plan your first gathering of friends and family in your new home!